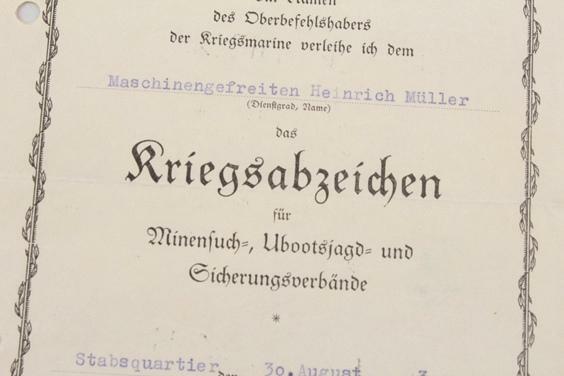 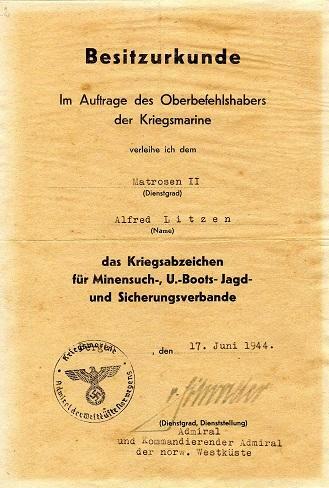 This is a Minesweeper document that came from a grouping.The recepient also served on the Hilfskreuzer ORION. 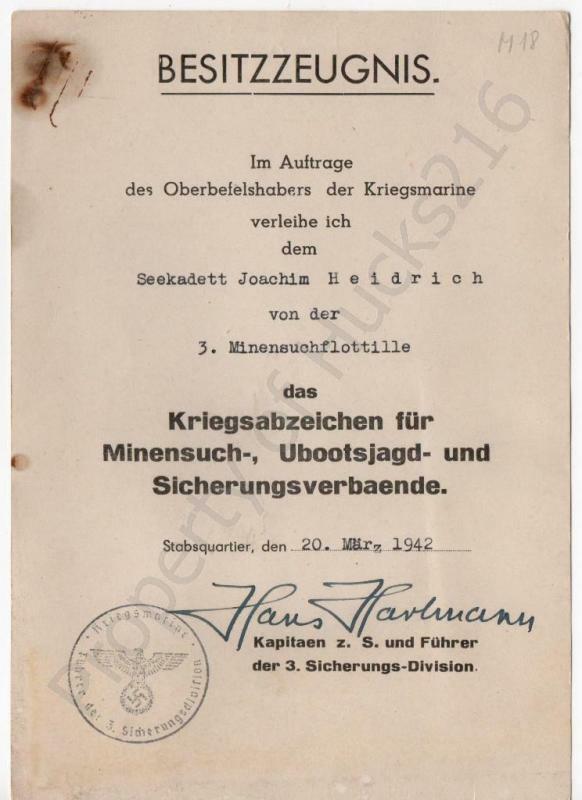 The only other Minesweeper document i have. 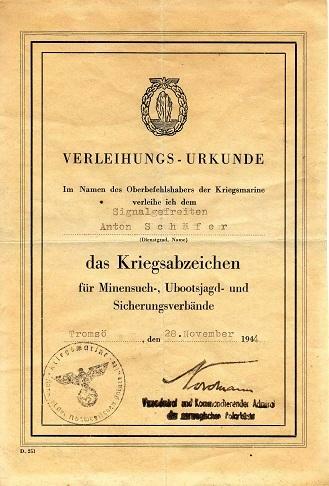 This one is signed by Vizeadmiral Gustav Kieseritzky. 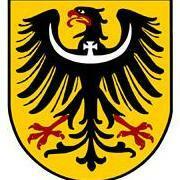 ...I like the shot of the Flakvierling!!! 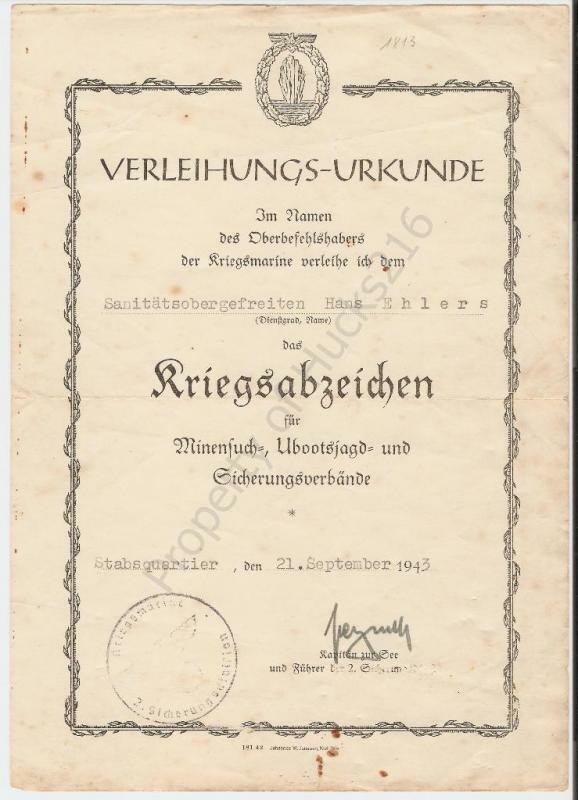 I picked this document up yesterday at a local show in San Jose. 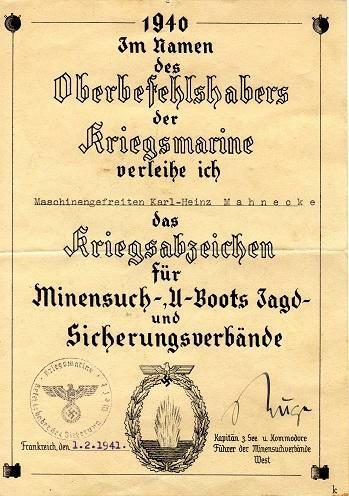 One i would consider to be any early document issued in Wilhelmshaven on 8 November 1940.It is of a large A4 size.When i looked at it there appeared to be no signature,even under magnification. 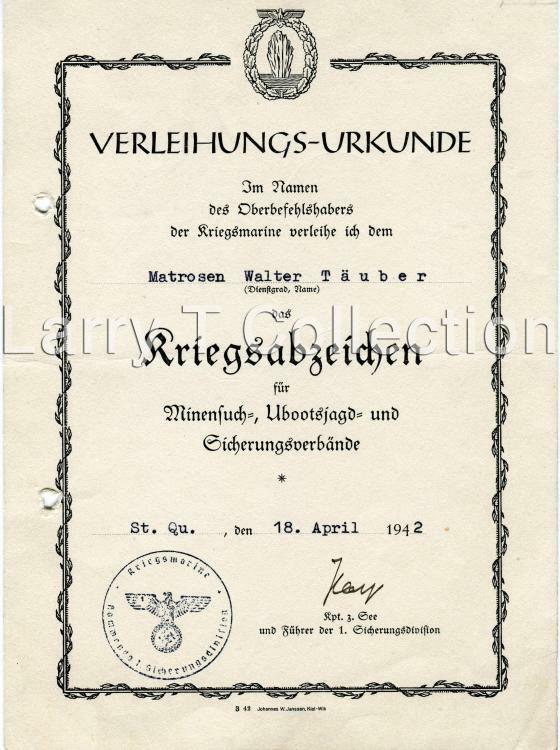 It was inexpensive and came with another document,both issued to the same man.Due to it's early date of issue i decided to buy it. 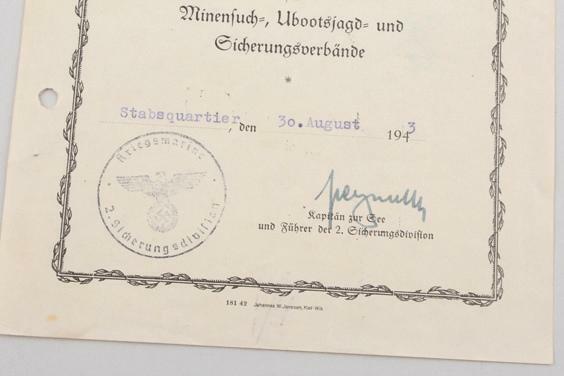 When i got it home i scanned the document and behold there seemed to be a feint remnant of a signature.I then did a high res.scan and sure enough there is a signature there,slightly visible on the detail image posted below.I had no idea as to who the signature belonged to until i looked at Gordon's book and on page 132 he has a similar document issued in Wilhelmshaven about one month later on 15 Dez.1940. 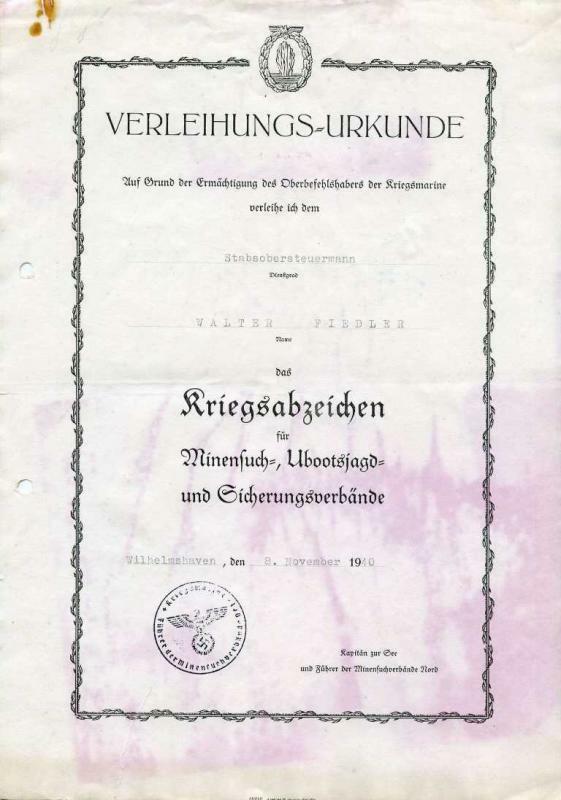 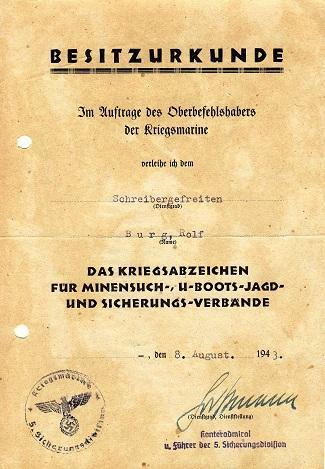 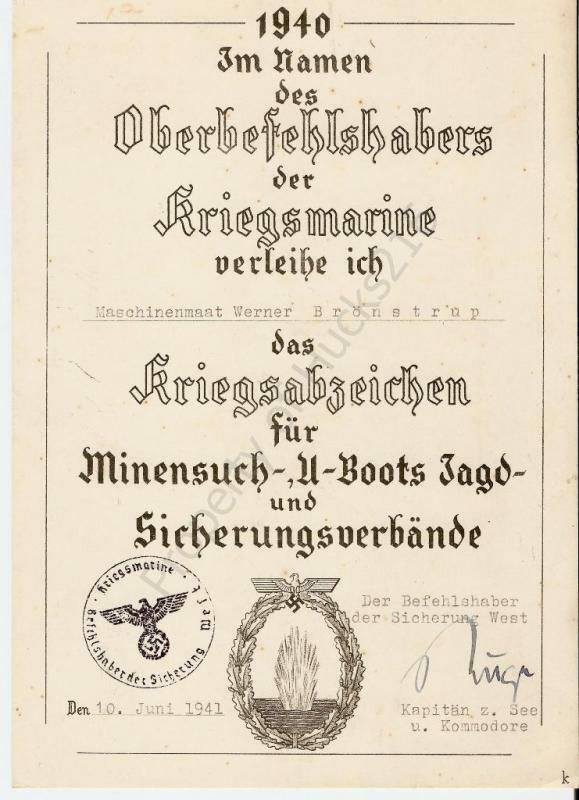 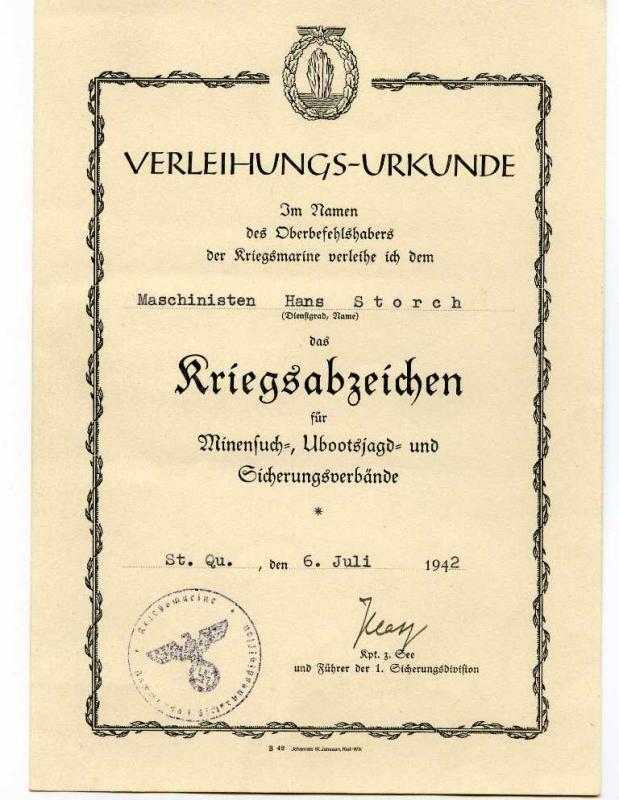 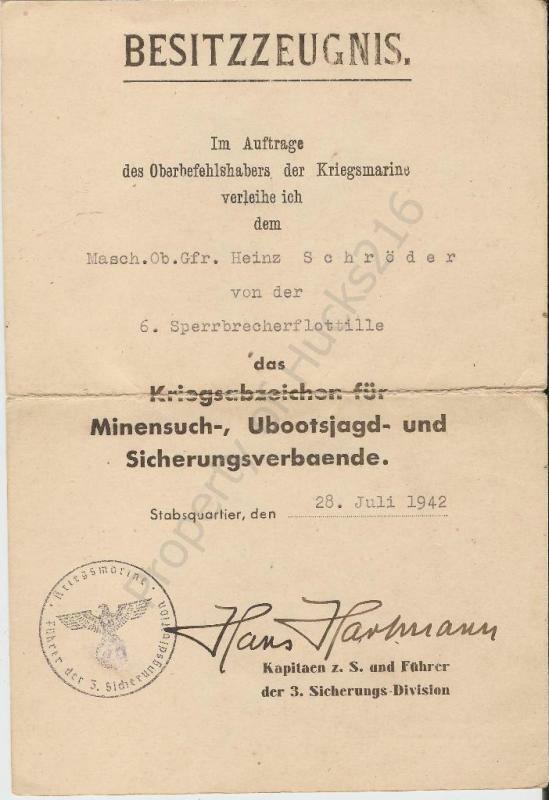 The document in Gordon's book is signed by the "Fuhrer de Minensuchverbande Nord",K.z.S Bohmer. 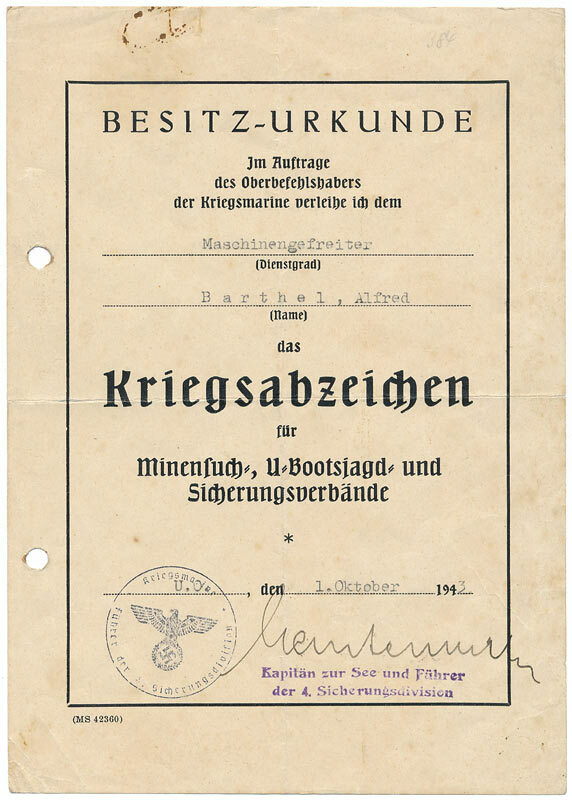 (posted below). 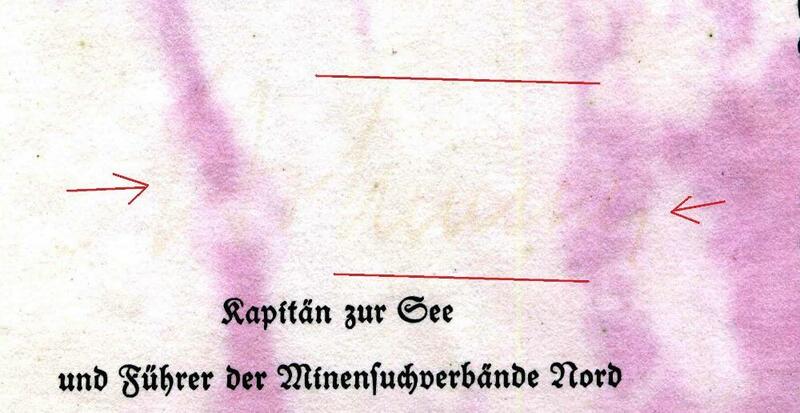 It is hard to tell but i'm thinking that this was the same person that signed the document i have ?? Here is the similar document from Gordon's book signed by Bohmer. 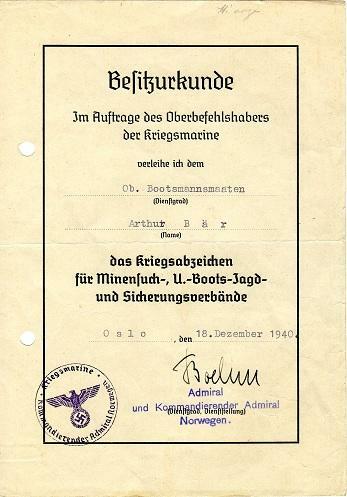 Example to a son of a senior German Heer Officer. 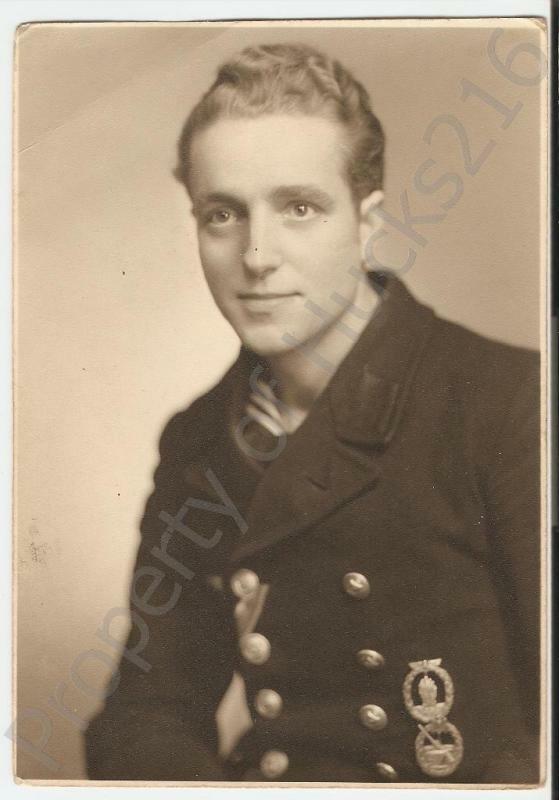 He would go on to die aboard U-623. This Minesweeper citation To Matrosen Walter Täuber as well as his EK 2 citation and photo album arrived recently. 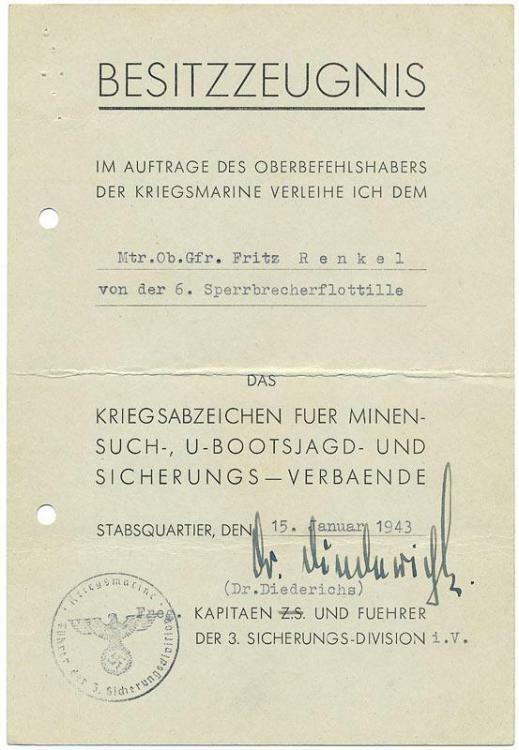 Täuber served aboard Vorpostenboot V1306 - OTTO KROGMANN. 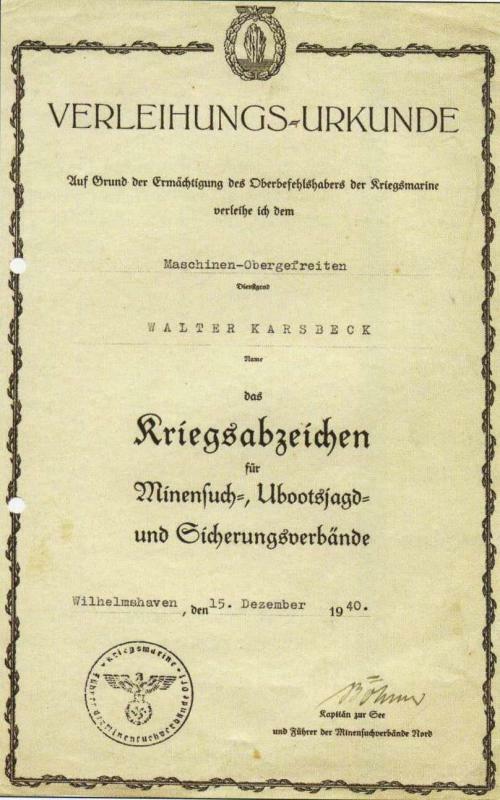 V1306 was part of 13 Vorpostenflottille. 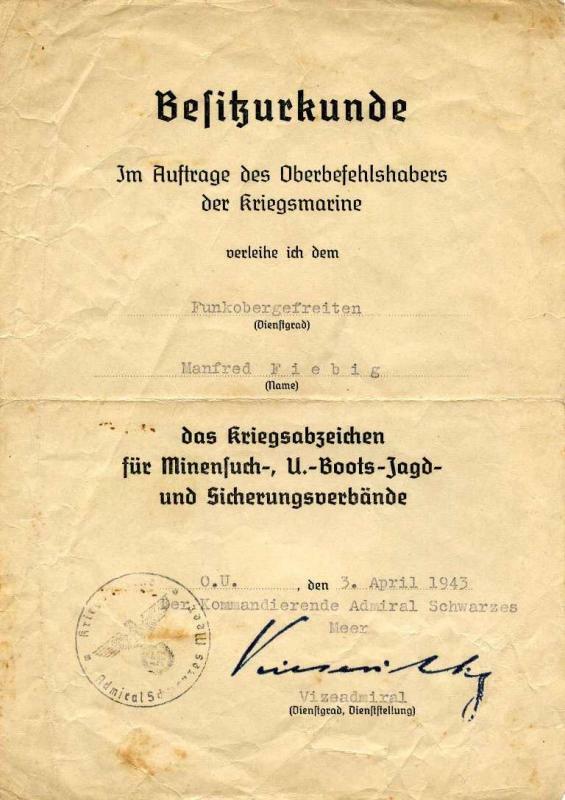 It survived the war.